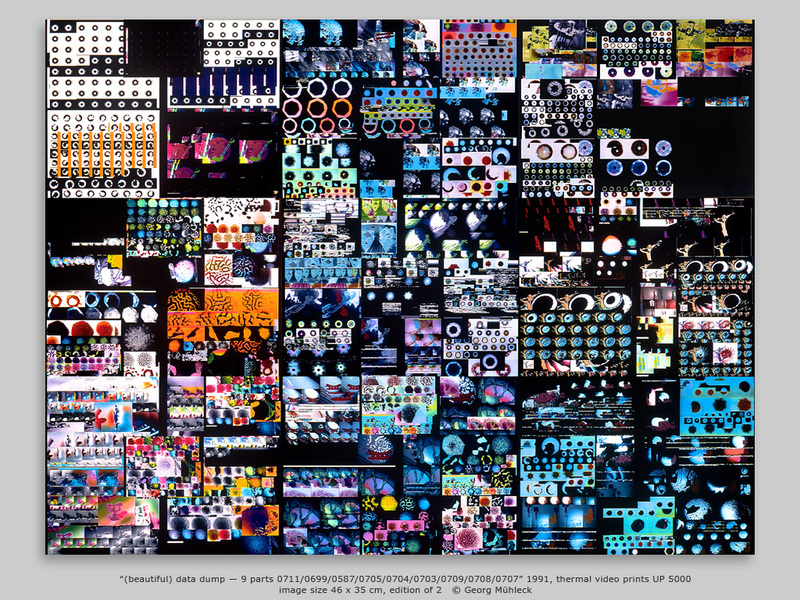 “(BEAUTIFUL) DATA DUMP” (1991) deals with the subject of a fast growing jungle of data. Are we talking the same language? In memory we trust. The speed of the time cuts mankind off the ground, rushes mind and body fast forward. Copy information, copy memory, copy culture: that's reality. Is real time real culture?